Welcome to the lakeside community of Nantahala Bay located in proximity to Nantahala Lake, North Carolina. The community’s proximity to Nantahala Lake makes it an ideal vacation destination for the guest looking to have fun in the sun while on their excursion. While in the area make sure to check out Smoky Mountain Jet Boats for a fun day of zooming around the lake in style! After an exhilarating jet boat trip, calm your vacation slightly down and traverse a few of the breathtaking hiking trails around Nantahala Lake. There is no better way to feel one with nature than to hike through a few of the beautiful trails into the local forestry. If your looking for more water centered adrenaline filled activities be sure to check out one of the over five companies in the area offer guided whitewater rafting tours. Imagine the whole family soaking in the surrounding nature while fighting through rapids. Sounds like a blast! 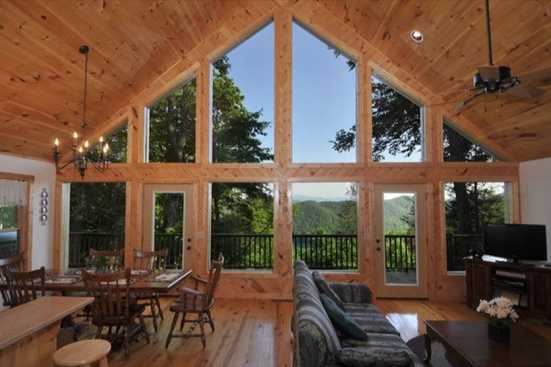 Smokymountainsbyowners.com is the best and most efficient way to find, plan, and book your vacation rental property in the Nantahala Bay community located in the North Carolina. Whether you choose to spend your day fighting through the rapids or zooming around on a jet boat, guests of all ages are sure to relish their time in this lakeside community. SMBYO.com aims to take the hassle and stress out of planning and booking your vacation rental property, so all you must do is decide if you want to hit the water in a jet boat or a raft first. Book now, your lake centered vacation awaits!